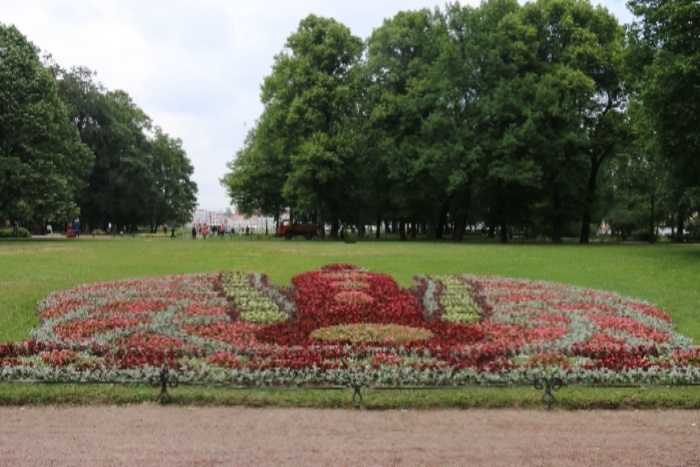 In honor of the Festival of Flowers in the park, the Admiralty planted flower compositions dedicated to the symbols of St. Petersburg. The flower gardens depict the Palace Bridge, the Rostral Column, the Admiralty ship and other sights. In total, flower gardens occupy an area of about 300 square meters. More than 95 thousand colors were created for their creation.